North Korean officials said that war with the United States is not an “if” but a “when” in response to the joint U.S./South Korean “Vigilant Ace” exercises that see 230 U.S. and South Korean aircraft — including the most advanced stealth planes — practice flight drills over the Korean peninsula. “The remaining question now is: when will the war break out?” the spokesman said Wednesday on North Korea’s state-run KCNA news agency. “We do not wish for a war but shall not hide from it,” he added. 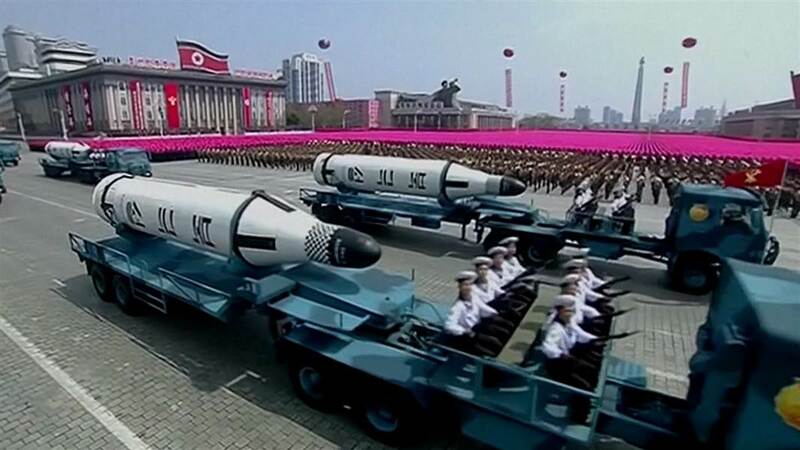 This announcement comes after North Korea launched another intercontinental ballistic missile in a clear move to antagonize the U.S. and its allies in the region. China has also issued a statement urging calm between both parties and noting that those who suffer from the war will be ordinary people. “We hope all relevant parties can maintain calm and restraint and take steps to alleviate tensions and not provoke each other,” Chinese Foreign Ministry spokesman Geng Shuang said. While China is North Korea’s only major ally in the region, the two have been on shaky ground as of late, with North Korean leader Kim Jong Un and Chinese leader Xi Jinping trading insults. Before Trump’s visit in early November, China banned major forms of tourism to North Korea. This is a slap in the face toward the hermit kingdom, as tourism from China is one of its major sources of income.